The US Citizenship and Immigration Services (USCIS) has announced that it intends to suspend the premium processing of petitions for H-1B Extension of Stay US visas between May 26th and July 27th 2015, with employers being advised to consult with legal counsel with regard to any impact this temporary suspension may have. 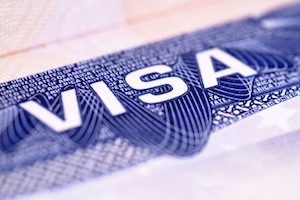 The decision to temporarily suspend the premium processing of petitions relating to H-1B US visas could have an impact on the onboarding of new H-1B employees and on visa renewals and travel plans for those employees who have already been granted an H-1B visa. Between the dates specified employers will also find themselves unable to file a Request for Premium Processing Service (Form I-907) or a Petition for a Nonimmigrant Worker (Form I-129), which requests an extensions of stay for a non-immigrant on an H-1B US visa. US Citizenship and Immigration Services has confirmed that premium processing remains available for all other H-1B Form I-129 petitions for US visas, including those requesting consular notification or a change of status for non-immigrants. Premium processing gives employers the chance to pay extra to expedite the processing of these petitions. The processing time is normally between two and three months; however, this can be reduced to just 10-15 days under premium processing. USCIS says that the temporary suspension is the result of the implementation of the final rule of the Employment Authorization for Certain H-4 Spouses.